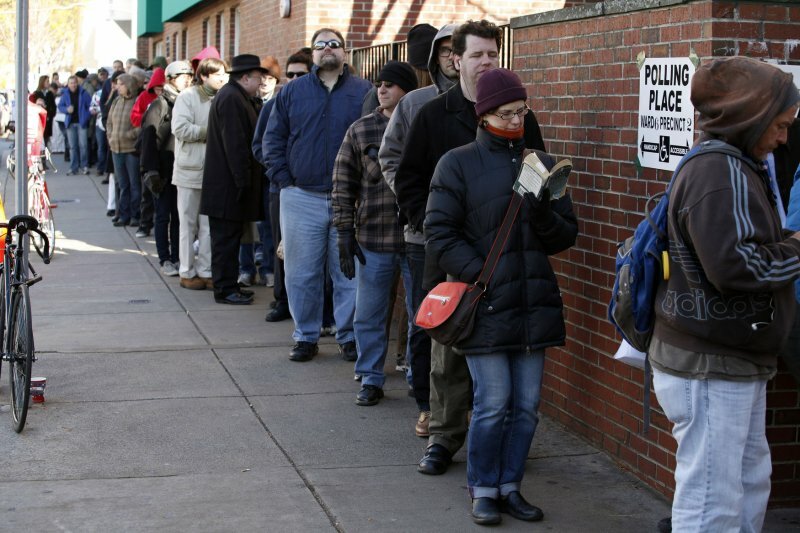 The Agony and Ecstasy — Mostly Agony — of Voting | dedalus, jr.
Posted on November 3, 2014	by Stephen Dedalus, Jr. Tomorrow, I am going to cast two votes while holding my nose. My first vote on Tuesday will be against my economic self-interest. You see, I have benefitted financially from the incumbent in office. He is a good person of stout beliefs who has delivered on many of his campaign promises. However, the promises on which he delivered have had a deleterious effect on my humble, flyover state. I may take a financial hit with his defeat, but my fellow citizens and I cannot stomach another term from this otherwise fine person. In these circumstances, you gotta do what you gotta do. My second vote will be enveloped in something worse than the stench of decay. Though I have met her only once, the challenger is someone whose beliefs, public record, and behavior inspire me to despise her. I suspect she is dishonest and perhaps mentally unstable. Elected to the office to which she aspires would be nothing short of an utter disaster. However, the incumbent fits the dictionary definition of “captured” when it comes to all the special interests and issues I find abhorrent. Though I believe the incumbent will win re-election by an 80-20 margin, I will vote for the person I despise. In these circumstances, you cannot let the powerful bully think he has clear run of the yard. I pray that your voting experiences will be more pleasant. This entry was posted in Punditry and tagged Agony and Ecstacy, blockheads, Incumbency, November 4, Speaking to power, Voting. Bookmark the permalink. My experience today was only half as unpleasant.